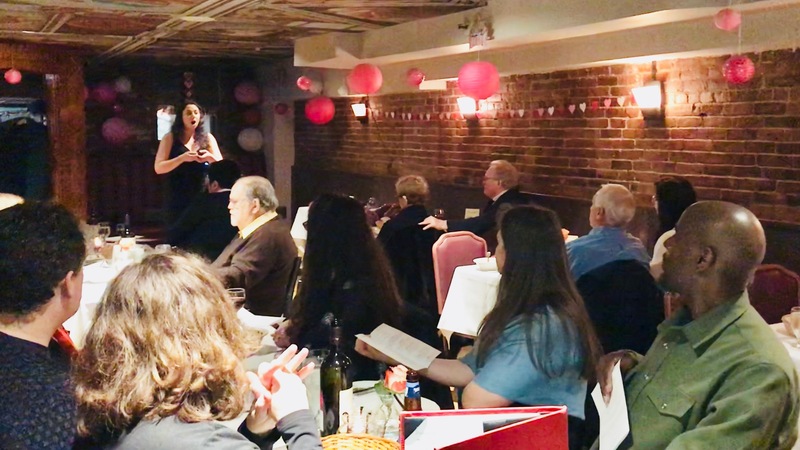 The North End Music & Performing Arts Center (NEMPAC) has announced their annual “Amore” Concert Dinner will take place on Tuesday, February 12, 2019 at 7 p.m. at Ristorante Lucia (415 Hanover Street) in Boston’s North End. This annual winter favorite returns for its 8th year and will combine a three-course Italian dinner paired with a delightful live music program featuring songs and music about Amore. Guests may select community table seating or reserve a private table here. Guests enjoying the opera ‘entree’ at NEMPAC’s 2018 Amore concert dinner. This year’s “Amore” event includes the stunning vocals presented by three professional singers accompanied by a faculty pianist. Song favorites will include “Je veux vivre” from Romeo & Juliet, “La donna e mobile” from Verdi’s Rigoletto, “La danza” from Rossini, “Quando m’en vo” from Puccini’s La Bohème, and “Libiamo ne’ lieti calici” from Verdi’s La Traviata. Professional artists will include soprano Jessica Toupin, NEMPAC Opera Project past artists tenor Fran Rogers and baritone Junhan Choi, NEMPAC faculty pianist Jaime Castellanos, and NEMPAC artistic director Dr. Christina Wright-Ivanova. To purchase tickets or learn more, please visit www.nempacboston.org/tickets. Contact NEMPAC’s Event Manager Sarah Vandewalle (svandewalle@nempacboston.org) for more information. You can also follow NEMPAC on Facebook and Instagram. About NEMPAC: The North End Music & Performing Arts Center (NEMPAC) is a 501(c)(3) non-profit community arts organization operating out of the heart of the North End and surrounding communities in Boston. Founded in 2001, NEMPAC has enriched Boston’s North End Waterfront and local neighborhoods through quality, accessible music education and performing arts programs. As we continue to grow as a Performing Arts Center, we continue to ensure we are engaging our audiences with creative, quality, and innovative programming. 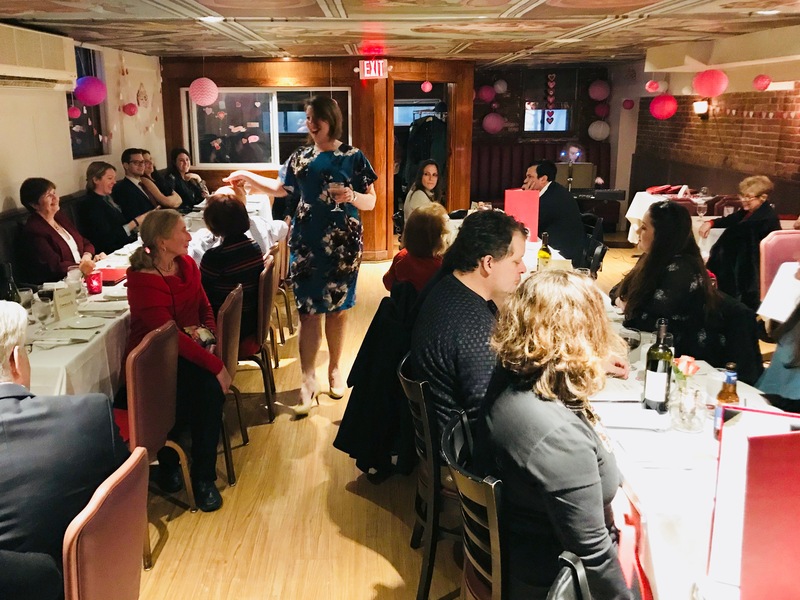 About the Professional Musicians Series: NEMPAC presents the 4th season of its Professional Musicians Series held at the exclusive, private Bijou de la Vida art gallery and the beloved Ristorante Lucia, both in the North End of Boston. Bijou de la Vida provides an intimate concert experience in a private gallery seating 45 guests. Ristorante Lucia is located at the heart of Hanover Street that combines traditional favorites with innovative new dishes in a distinctive atmosphere. Artistically directed by Dr. Christina Wright-Ivanova, the program gathers music-lovers from our community for special evenings featuring Boston’s finest, emerging classical musicians. *This concert is included in NEMPAC’s Season Pass ticket holders – discounted pass option.